J. Anthony Riedelsheimer is the founder of VeganAthletePerformance.com and has been a vegan for almost a decade. He has helped, trained and inspired many people to adapt to wholesome plant based Vegan lifestyle. He is a vegan Cyclist, Triathlete, Ultra Runner, Musician, Environmental & Animal rights Activist who believes that living a Vegan lifestyle will make a difference for the better in all of our lives & the planet Earth. Anthony is also the CEO & Founder of the Music Factory – School of Music in Costa Mesa, California, USA. I started out as Vegetarian and was still experiencing certain health issues. After removing any animal type food combined with my active lifestyle I was able to overcome any of my health issues I experienced. Besides being a healthier and happier version of myself, I got involved with animal rights activism and Sea Shepherd to take on global issues I feel strongly about and which need to be addressed. 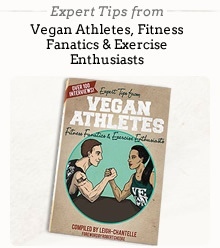 I believe there are the different ways to adapt to a “Vegan” lifestyle. Some people trying it out for health reasons first, some come from the animal activist corner or perhaps both. For me, I started for health reason I experienced, that I couldn’t get resolved through a conventional medical approach. I think this was the beginning for me to become a lot more compassionate and aware of animal rights issues and what’s really going on. It motivated me to learn and study how we are being deceived and lied to by advertising from our medical society and government. Pretty much every day. Some trainings day are designed for active recovery, which include Yoga, light swimming or massage. Quicker recovery and able to sustain longer, harder trainings or race efforts. Not to lose sight of what I’m trying to accomplish in this movement. There are a lot of wonderful and passionate people trying to spread this compassionate message about Veganism and environmental issues. My goal is it not to constantly preach or trying to convince everybody else about what I'm doing or believe in. Veganism is not this new miracle diet or lifestyle. It's been around for a long time. I believe everyone is on this timeline of perceived consciousness and when the time is right, a person will make a change. All I can do is walk the walk to my best ability and inspire others. If you want to change the world, you've to change yourself first. If I'm mad or angry of someone else's worldview or philosophy or allow myself to think I'm superior, I believe, I'm just as ignorant as that person. L.O.V.E.! Yes. They know me and how much passion I have and support it. I think everyone who is on a plant-based diet faces the same questions. “Where does your protein coming from?” “Isn’t it too hard to do?” “What do you eat besides carrots and salad?” …and the list goes on. I respond sincere and respectful. A lot of people are trapped in the “Myths of Nutrition” which have been strategically implemented by the food industry and governing bodies. It’s a billion dollar industry with a sophisticated marketing team. To leave a better world for my children. Successful - Compassionate – Evolution. Raw Superfoods (Macca Powder). Green smoothies and juices. Yes. Cordyceps Mushrooms, Resveratrol and proprietary Ayurvedic recover formula by my company Vegan Athlete Performance, BBAA and L-Glutamine. Gaining muscle - Proper wholesome plant-based nutrition and you’ve to stress and overload your muscles according to your overall goal. Hydrate with clean alkalized water. Losing weight - Detoxing your body with juice cleanses and colonic hydrotherapy. Proper wholesome plant-based nutrition and exercise schedule - depending on your current physical health and goal. Hydrate with clean alkalized water. Maintaining weight - Eat for your goals. Eat clean wholesome plant-based nutrition. Hydrate with clean alkalized water. Improving metabolism - Green Juice cleanses to start out. Get rid of toxins in your body (colonic hydrotherapy) and continue to fuel with clean wholesome plan-based nutrition. Toning up - Byproduct of a healthy lifestyle.